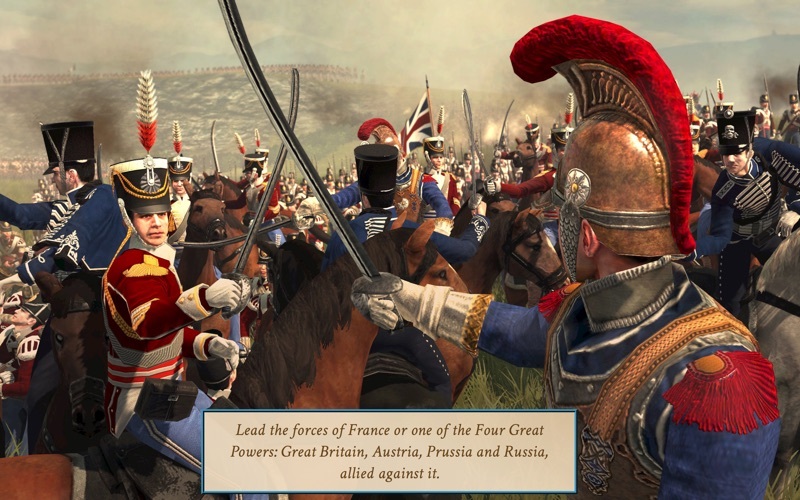 Napoleon: Total War - Gold Edition for Mac challenges you to combine diplomatic cunning with strategic vision and military genius in order to lead your nation to victory across the campaign maps of Europe, the Middle East and North Africa. 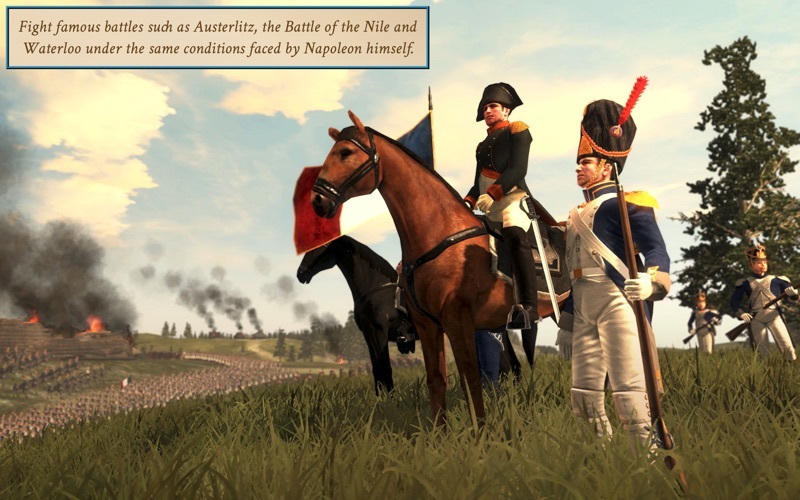 • Fight famous battles such as Austerlitz, the Battle of the Nile and Waterloo under the same conditions faced by Napoleon himself. 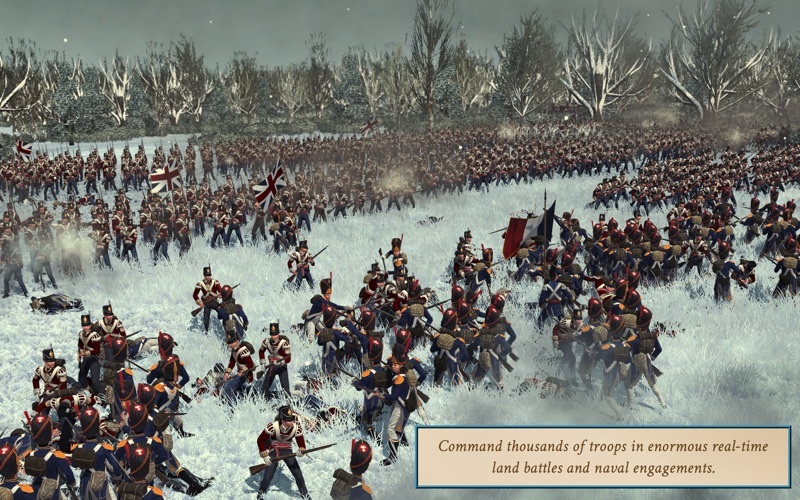 • Command thousands of troops in enormous real-time land battles and naval engagements. 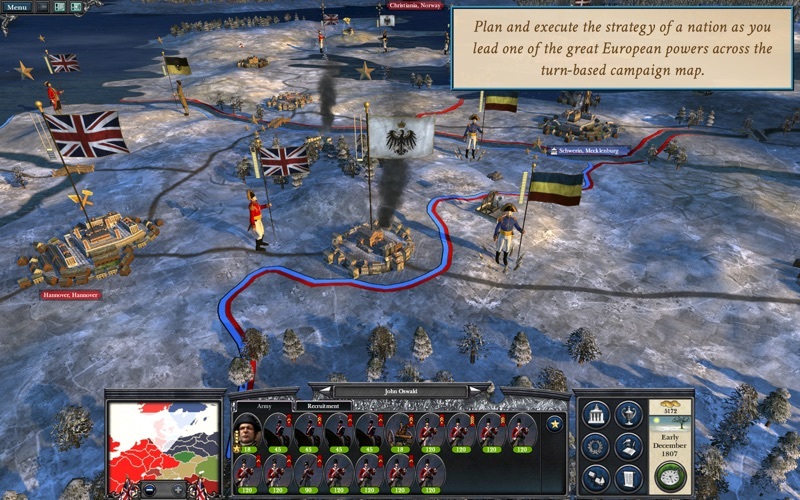 • Plan and execute the strategy of a nation as you lead one of the great European powers across the turn-based campaign map. • Lead the forces of France or one of the Four Great Powers: Great Britain, Austria, Prussia and Russia, allied against it. • Forge alliances, negotiate trade routes and research new ideas and technologies to build an economic and military superpower. 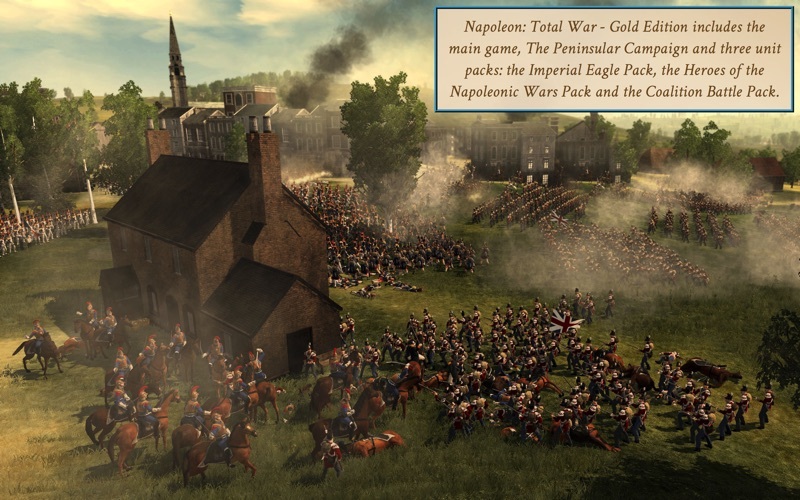 • Napoleon: Total War - Gold Edition includes the main game, The Peninsular Campaign and three unit packs: the Imperial Eagle Pack, the Heroes of the Napoleonic Wars Pack and the Coalition Battle Pack. • The following graphics cards are not supported: ATI HD2xxx series, ATI X1xxx series, Intel GMA series, NVIDIA 8xxx series, NVIDIA 7xxx series. • The following graphics cards require 8GB of system RAM: Intel HD4000, Intel HD3000, NVIDIA 9400, NVIDIA 320M.